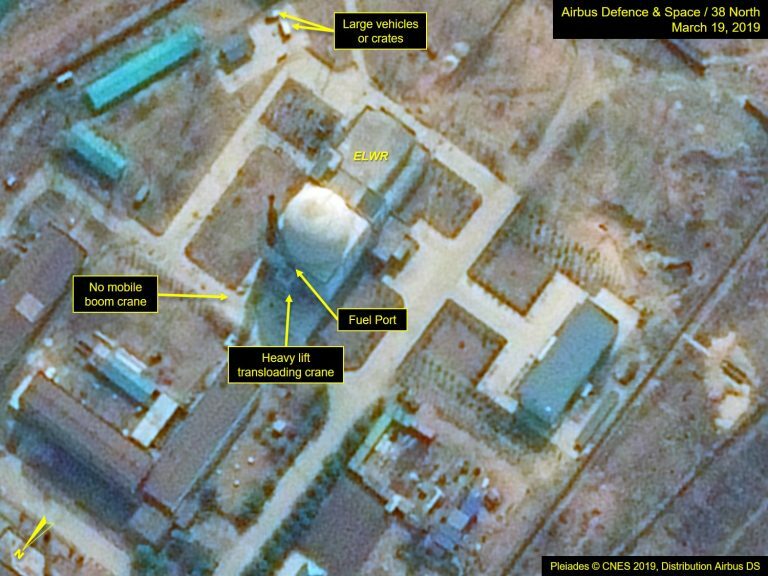 Recent commercial satellite imagery of the Yongbyon Nuclear Scientific Research Center indicated the presence of a boom crane at the Experimental Light Water Reactor (ELWR) next to the fuel cask transloading port on March 22. 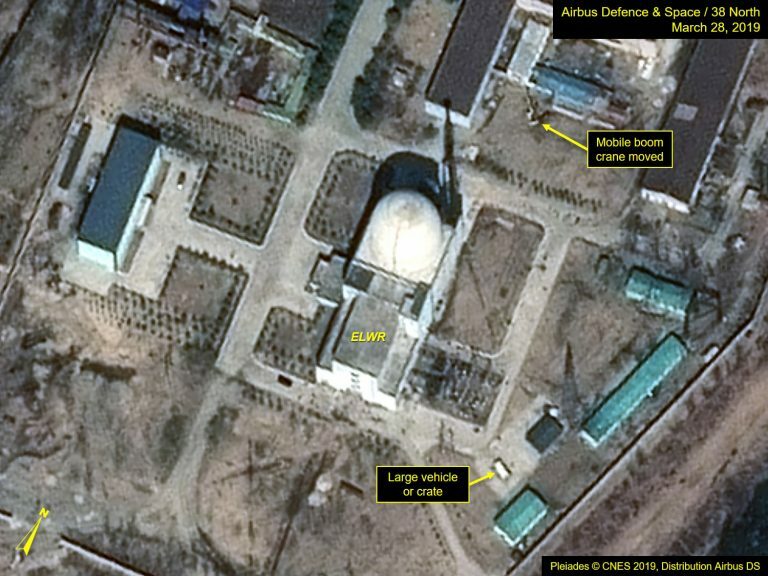 The crane was not present in imagery from March 19 and had been moved away from the ELWR by March 28. The exact purpose is unclear based on imagery alone. The crane may have been used to load equipment or materials into the reactor dome, to support work on the vent stack or some other maintenance related activity. Figure 1. Overview of ELWR from March 19, 2019 to March 28, 2019. There is no direct evidence to suggest that the ELWR, which has been under construction for nearly 10 years, is approaching operational status. 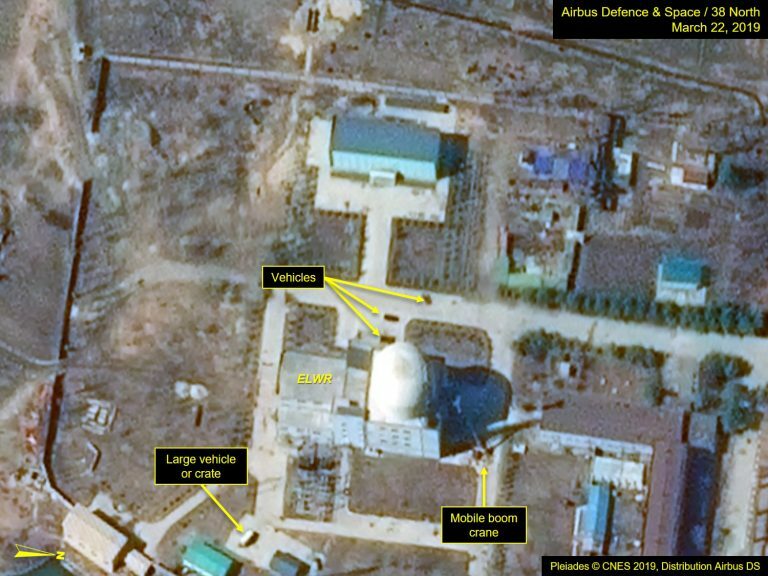 Activity at the rest of the Yongbyon facility is minimal.